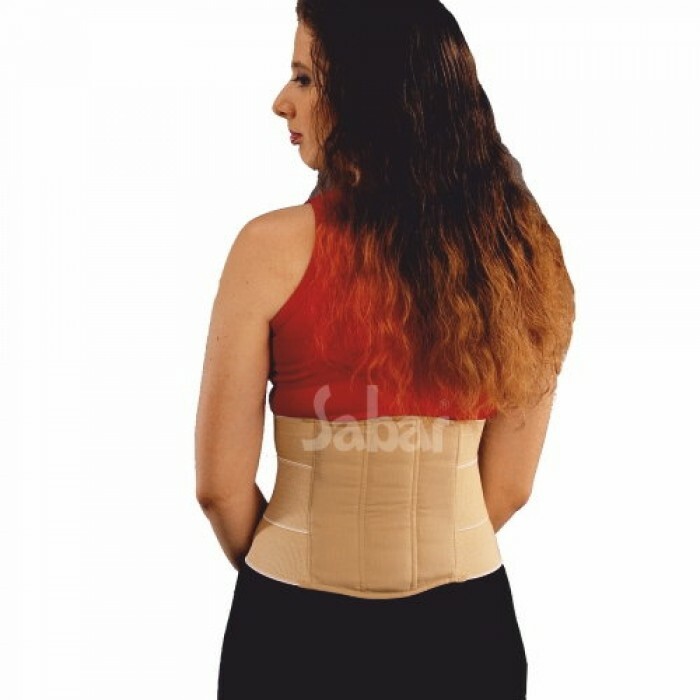 provides maximum support to the mid and lower back area without restricting normal movement. It helps to correct Muscular-Skeletal deformities in the lumbar region due to the wrong posture. 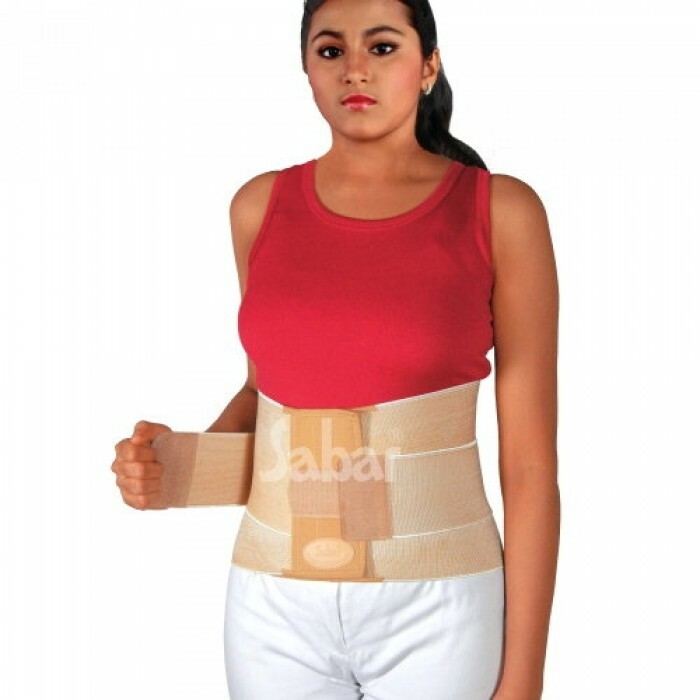 The Lumbar Sacro belt is designed as a double-strap system for extra compression with multi elastics to evenly distribute compression across the lumbar region & to provide stabilizing support to the abdominal muscles. 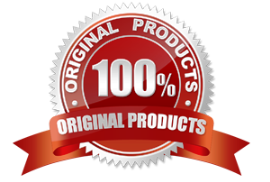 It relieves pain in the lumbar region in postoperative / post delivery condition. 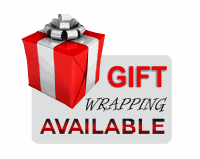 Alleviates lower back pain by stabilizing the lumbar, sacral and pelvic region. 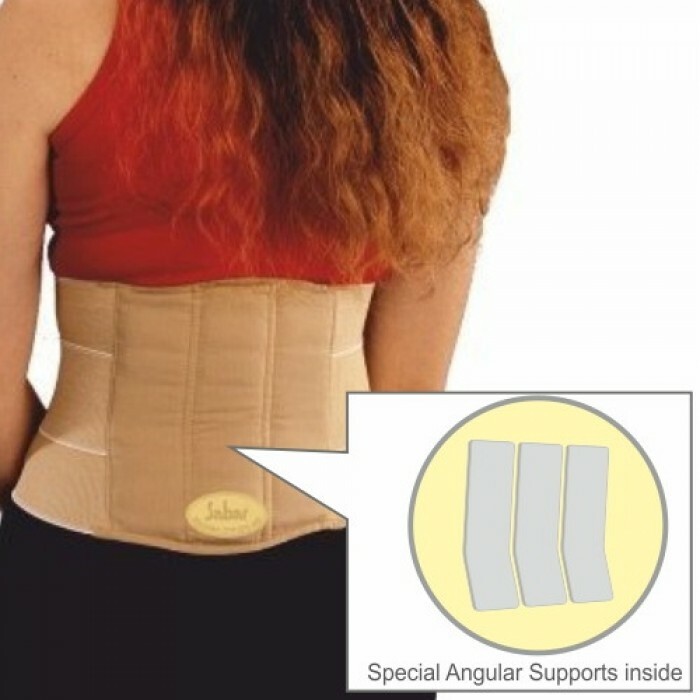 Helps to correct Muscular-Skeletal deformities in the lumbar region due to wrong posture etc. Relieves pain in the lumbar region in postoperative / post delivery condition. Three flexible contoured Angular Support Plates provide stabilization and lightweight support. Unique design provides an ultimate tapered padding of special high-density material in the spinal cord region. Designed as a double-strap system for extra compression with multi elastics to evenly distribute compression across the lumbar region & to provide stabilizing support to the abdominal muscles. To order the correct size, measure the circumference of waist corresponding level of the Navel.